If you have planned to spend a week in Stockholm, and want to do more than tour the city with our FREE TOURS ESTOCOLMO in ENGLISH and visit the main attractions that we tell you in our post “What to see in Stockholm in 2 or 3 days“, today we will talk about the city Örebro. Örebro is the sixth largest city in Sweden and is approximately two hours from the center of Stockholm. How to get to Örebro? To get to Örebro you will not be able to use the Stockholm Pubic Transport, but you can do it using the SJ train service or any of the buses companies, like FLIXBUS or Netbus, that depart from the Central Station. All companies are very good in terms of service, but the cheapest option is usually FLIXBUS. The tickets always vary their prices, but sometimes you can get them for just over 5 or 6 Euros (round trip!). What to do in Örebro? 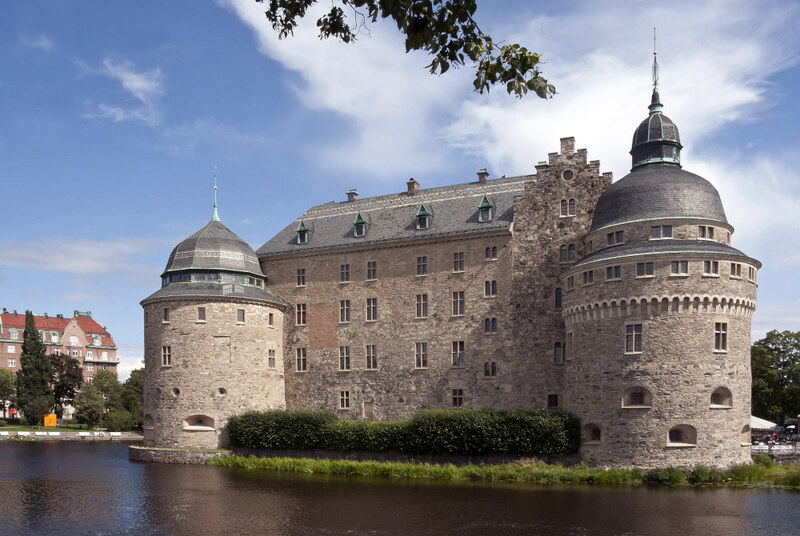 In the center of the city is the castle of Örebro, a castle of the Middle Ages surrounded by hotels, restaurants, pubs, bars and fantastic shops. During the summer there are guided tours every day, and even at night there are tours based on ghost stories. The rest of the year, visits are organized during weekends. The natural reserve Oset, is a natural park where you can walk or ride a bicycle. It is located on the outskirts of the center, but it is very close and easy to reach even walking. The Oset nature reserve is ideal to spend the day surrounded by nature, as it has special hiking trails and bicycles, and safe areas where you can barbecue. Wadköping was created as a cultural reserve in order to preserve the old buildings that were in the place. The houses were moved from the surroundings of Örebro. But in Wadköping you will not only find old houses, but also entire farms that have been moved to this place opened in 1965. Gustavsvik is a water park that can be visited both in winter and summer. It is set as a lost city and has outdoor swimming pools, indoor and outdoor water slides, restaurant and fast food outlets. It is located a short distance from the center of Örebro and is a good option to enjoy with the family. The gastronomic offer in Örebro is very wide, and you will find places where you can enjoy both Swedish food and international dishes. As in Stockholm, for lunch you will find cheap menus during the week, and at night prices vary. Anyway, you will see that there are multiple options that adapt to all types of budgets.